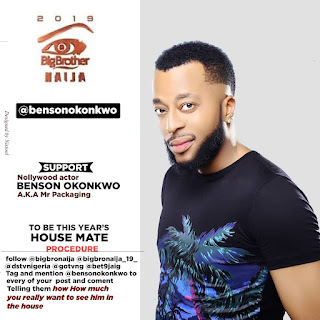 Home Unlabelled NOLLYWOOD ACTOR BENSON OKONKWO JOINS RACE FOR 2019 BIG BROTHER NAIJA; CALLS FOR SUPPORT. NOLLYWOOD ACTOR BENSON OKONKWO JOINS RACE FOR 2019 BIG BROTHER NAIJA; CALLS FOR SUPPORT. the forthcoming Big Brother Naija reality TV show. 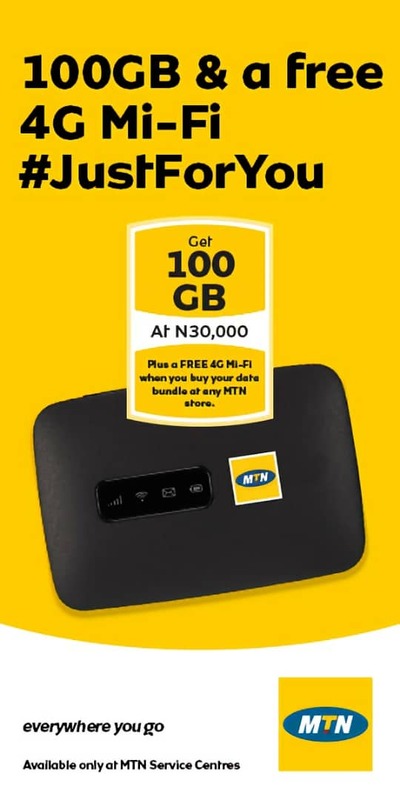 According to a post from the Instagram handle of Actor Benson Okonkwo, it reads "Hi guys comment as much as you can daily to support me for this years bbnaija may God bless you as you do so. Many thanks for your support so far". Benson Okonkwo has been one of the youngest, successful actors from the south Eastern region of Nigeria. 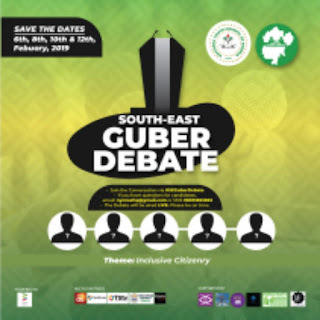 His antecedents, lauded attitude and dramatic vigour has created a figurative prominence across Nigeria, especially the south Eastern region. Benson has bagged several awards in acting and other socio-cultural dramatic engagements. According to Benson, potential supporters should follow @bigbronaija, @bigbronaija_19_, @dstvnigeria, @gotvng, @bet9jaig and tag @bensonokonkwo to every post, telling them how well you will want to have Actor Benson in the house.